Jones Street Port Jefferson, Long Island, N.Y. Published by C.L. 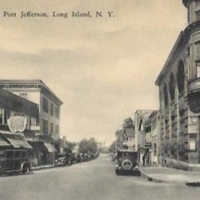 Darling, Jeweler and Stationer, Port Jefferson, L.I., N.Y. Post Cards of Quality. – The Albertype Co., Brooklyn, N.Y. Published by C.L. 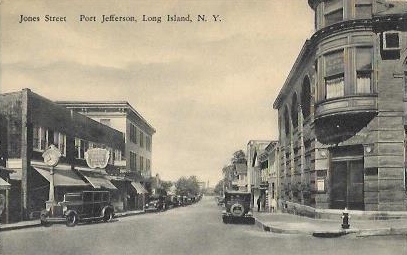 Darling, Jeweler and Stationer, Port Jefferson, L.I., N.Y. Post Cards of Quality. – The Albertype Co., Brooklyn, N.Y., “Jones Street Port Jefferson, Long Island, N.Y.,” Hofstra University Library Special Collections: Digital Collections, accessed April 19, 2019, https://omeka.hofstra.edu/items/show/2622.